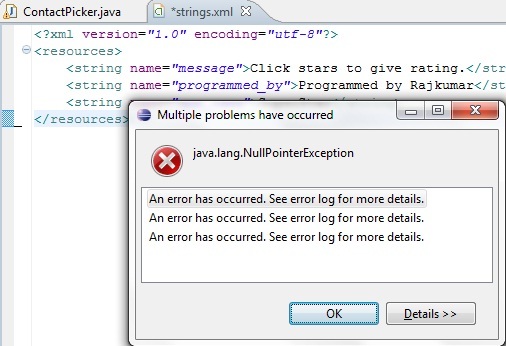 How to get rid of this error message? Second method worked for me and i hope the same for you also. Click the Resources/Structure tab and just press [s] icon in top right corner. Voila it worked for me. If it worked for you also, don't forget to share your happiness. Have a happy computing.